Five tech titans -- Amazon, DeepMind/Google, Facebook, IBM and Microsoft -- have formed a coalition to educate advertisers and consumers on the ongoing development of artificial intelligence. Microsoft Research chief Eric Horvitz and DeepMind co-founder Mustafa Suleyman will co-chair the coalition in the interim, called Partnership on AI and announced Wednesday. Reports suggest that Apple is still considering joining the organization, but no announcement has been made. A board, which will guide the activities of the partnership, has not yet been fully appointed. "Day-to-day operations will be overseen by an executive director who will work closely with the board of directors," according to the Web site. "Conferences, meetings, panels, projects, and working groups will be commissioned by the board and conducted by the executive staff." Two of those executive staff members also include Ralf Herbrich, director of machine learning at Amazon, and Greg Corrado, senior scientist at Google Research and co-founder of the Google Brain team. 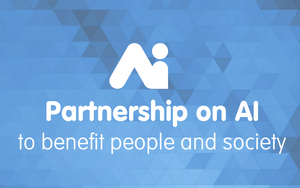 The coalition aims to advance the public's understanding and awareness of AI and its potential benefits and costs. Communication through a structured platform will educate the public on relevant issues as well as support research and make recommendations around ethics, fairness, and inclusivity; transparency and interoperability; privacy; collaboration between people and AI systems; and of the trustworthiness, reliability, and technology. Companies are using the technology in everything from predictive analytics to search and beyond. One report suggests that Microsoft is using reprogrammable computer chips in Azure data centers across 15 countries to process the data generated by its AI activities. Even Google's messaging app Allo uses AI. Recent investments in AI-focused startups seem to reflect the interest in using the technology for all sorts of projects. CB Insights estimates that equity funding reached an all-time high last quarter of more than $1 billion. The July 2016 blog post notes that nearly 70% of the deals went to startups in the United States during the second quarter. Since 2011, these startups have received more than $7.5 billion, with more than $4 billion since 2015. "More than 30 private companies working to advance artificial intelligence technologies have been acquired in the last 5 years by corporate giants competing in the space, including Google, IBM, Yahoo, Intel, and, more recently, Apple and Salesforce," with five major acquisitions in the first half of 2016, per CB Insights.